The university at the centre of the Climategate scandal has been force to hand over its raw temperature data by the Information Commissioner in the UK. 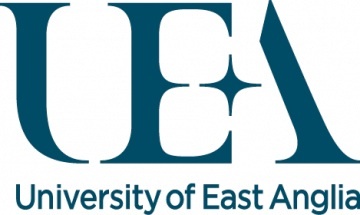 The University of East Anglia has repeatedly refused access to the data using various methods to thwart FOI requests. Why would they do that? Here we have a body which is responsible for one of the main temperature data sets on which the global warming scare is built (CRUTEM3), and yet they refuse to hand over the data so third parties can check it. There’s transparency for you. Critics of the UEA’s scientists say an independent analysis of the temperature data may reveal that Phil Jones and his colleagues have misinterpreted the evidence of global warming. They may have failed to allow for local temperature influences, such as the growth of cities close to many of the thermometers. Jonathan Jones, who is not a climate scientist, said he thought “the most significant features of this decision are the precedents that have been set”. The commissioner is likely to rule more generally in favour of public access to scientific data. Under the 2000 Freedom of Information Act, public bodies such as universities have to share their data unless there are good reasons not to. But when Jonathan Jones and others asked for the data in the summer of 2009, the UEA said legal exemptions applied. It said variously that the temperature data were the property of foreign meteorological offices; were intellectual property that might be valuable if sold to other researchers; and were in any case often publicly available. Jonathan Jones said this week that he took up the cause of data freedom after Steve McIntyre, a Canadian mathematician, had requests for the data turned down. He thought this was an unreasonable response when Phil Jones had already shared the data with academic collaborators, including Prof Peter Webster of the Georgia Institute of Technology in the US. He asked to be given the data already sent to Webster, and was also turned down. So he appealed to the information commissioner. Yeah, right. They wouldn’t have done anything of the sort if this kind of application hadn’t been made and prosecuted vigorously. Well done Jonathan. The Commissioner’s ruling is here (PDF). Indeed. If that truly is their position, and if as they say the data “were in any case often publicly available”, why didn’t they hand it over in the first place? Seriously, alarmists take people in general to be fools. Ironically, it’s the alarmists who end up looking more foolish. The saddest part is that they don’t seem to know it. The University of East Anglia, so-called climate scientists, along with those involved in Climategate, James Hansen, Director of NASA’s Goddard Institute for Space Studies; Michael Mann, famous for Mann’s “Hockey Stick”; Gavin Schmidt, NASA climate modeler, and; Stephen Schneider, Stanford professor and Al Gore confidant, have already been outed for massaging climate statistics to suit their own hypothesis. Their data is no longer trustworthy and neither is their credibility. Of course all this is nothing new for those scientists involved in enhancing global warming. Selective and statistical fitted data are the norm for these fraudsters who’s only goal is to bolster their own government grants to perpetuate the myth and keep themselves employed. Of course they are transparent. The same way as Gillard was, is and always be about anything. Let us hope that Al Gore’s global scam will finally go down in flames together with all the green fascists propagating that evil & enslaving neo-marxist dogma. German Rapper Kilez More produced an anti warmist hit. Such work hopefully will get the younger generation thinking about real intentions of likes of Al Gore, Garnaud, Flannery, GilIard, Brown and other of the evil brotherhood. Here are some of the lyrics translated by someone into English. Because of that they lodt the rhymes but not the message! We can only hope the truth comes out, but on the other hand a lot of people have a lot to lose if the whole AGW scam is exposed. Im expecting that it will not change the warmists attitude. The cynic in me says that they will simply say, “well, it doesnt matter, all this green change is good, so why not continue it”. The only thing that will change the outlook for Australia is a change of Govt. Im usually an apathetic voter, but when Gillard and Co are gone, I will be celebrating big time.